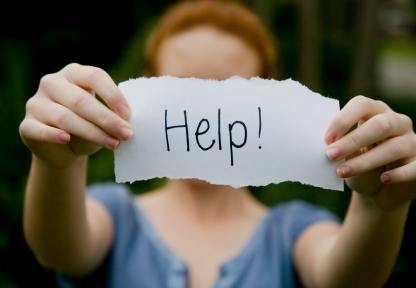 You are here: Home / Health & Healing / Can We Look to Natural Sources for Help with Depression? Can We Look to Natural Sources for Help with Depression? Most of my adult life I have been confused about what exactly “depression” is and why people experience it. Now of course I have been depressed before but it was always fleeting and within a day or two I was right as rain. What I never understood was the fact that some people could go months or years in a depressed state. Was I just lucky? Did I have an abnormally nice life and did I fail to understand what kind of life realities other people face? I still wonder about these things. After my first pregnancy I experienced a week long postpartum depression episode. But even then I realized I was really in mourning. Even though I was elated to have the child I always wanted, I mourned the loss of simpler days, the excitement that had built for over 9 months, and the constant stream of attention I got while pregnant. It took me about a week to “get over it”. That experience wasn’t really helpful to me in finding why other people struggle so much with depression. An experience last month did help me understand and become a bit more empathetic though. It was the first week of May I believe and all three of my kids and I had just gotten over a cold. I was feeling much better but yet I awoke a couple mornings with an earache. Then I woke up a couple days later in a state I had never before experienced. I just felt so wrong…. I felt like I was watching the world in a fog and everything made me cry uncontrollably. I took a shower hoping to shake off these yucky feelings and a toy dinosaur in the tub made me cry. I imagined my youngest son being grown and gone and me being alone and I wept and wept. The kid is four years old and I felt all was lost because I couldn’t stop him from growing up and leaving me. I knew I was being irrational but I couldn’t shake these feelings. I would sit on the couch and not move. I didn’t want to talk to anyone, go anywhere, blog, or even take care of my own kids. I did the bare minimum and then camped out on the couch as long as I could. I started asking the older kids to take care of their younger brother and when my husband came home I retreated to my room and let him handle everything. I just laid in bed and stared at the wall. I felt like life had no meaning or value and I wondered why even bother getting out of bed and YES the whole time I knew something was seriously wrong with me but I couldn’t make myself care enough to do anything about it. I did however have an “Aha” moment that I was depressed before I rolled over and stared at the wall again. This went on for a week or so until I started getting a stabbing pain in my ear, which finally motivated me to go to an urgent care center. I ended up finding out that I had an inner ear infection, an outer ear infection, swimmer’s ear, and a sinus infection. The doctor was amazed I was functioning as well as I was and while I am usually very anti pharma, I grabbed the antibiotic prescription and ran to the pharmacy. Within a few days I felt back to normal and I was so relieved and yet kind of sad for people who can’t easily determine that it is a medical problem making them feel the way they do. Once again I had an easy out… an illness or imbalance that needed to be corrected and once it was.. right as rain again. I think I ended up getting so sick because I let myself get run down, I stopped drinking my green smoothies, I was eating too much wheat and bread, and I was experiencing a lot of stress. Sadly, in the fog I thought I must surely be depressed because of my marriage. They always say you shouldn’t make big decisions when you are grieving. If they don’t say the same about those in a depression they should. I set off a wild chain of events that started after I asked my husband for a divorce and some things you just can’t undo. Seriously, I wonder what other chaotic things I would have/could have done if I hadn’t taken steps to fix the imbalance. This morning I was watching a video by a doctor that explained how 80% of anti-depressants don’t work and how they only publish the few studies that might show a benefit and the hundreds of studies done that show absolutely NO benefit are never published. It just makes me wonder about what underlying health issues could be causing depression and why we aren’t addressing that instead of trying to medicate away the symptoms. On the flip side, those that sell supplements, herbs, or healthy foods are not allowed to state the scientifically proven health benefits of their products or face prosecution by the FDA which claims that only drugs can “cure” illness. What help is there for the depressed when it is unlikely that the meds they are taking will actually help and it is illegal for health practitioners to direct them to natural cures? Its a tangled web of lies and deceit and peopel will continue to suffer. Here is an article by a doctor with 7 Steps to Treat Depression without Drugs. It is a great read. And here is the video I was talking about. What say you? Have you ever experienced depression or know someone who has? What helped?